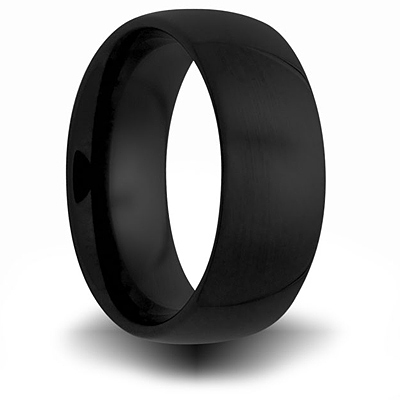 Solid black ceramic ring. Domed ring with rounded edges. High polished mirror finish. Ring measures 8mm wide. Made in USA. Comfort fit.